All-in-one kit designed specifically for construction industry. 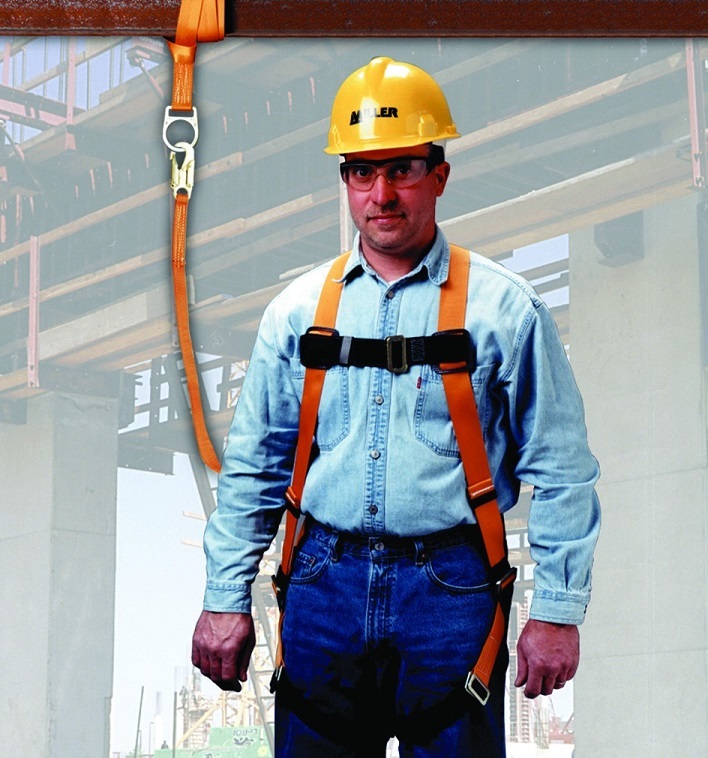 Includes 6′ tubular shock-absorbing lanyard; 6′ cross-arm strap anchorage connector; and full-body harness with mating-buckle or tongue-buckle leg straps, sliding back D-ring and sub-pelvic support strap, rated at 400 lbs. Universal size is L/XL. Meets all applicable OSHA, ANSI and CSA requirements.